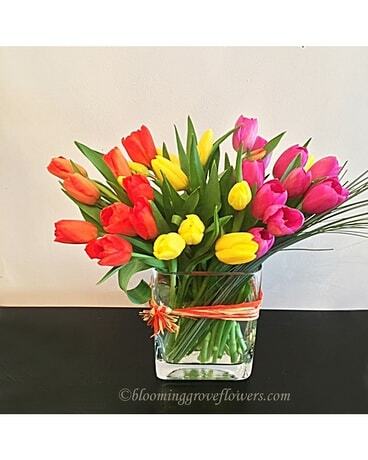 30 assorted tulips in a glass vase decorated with raffia. Tulip Colors and Containers subject to change based on season and availability. However we will create something similar using products with an equivalent or higher value: we will find substitution to assure the best quality and presentation for your special gift.